Barnes & Noble is offering $20 off their Nook Simple Touch and Nook Color in a Father’s Day sale that is good from now until June 17th. There is a small catch though. The purchase has to be paid for with a MasterCard card. Our source at B&N’s corporate office confirmed to Consumer Press that any type of Mastercard card would do. It can be a Mastercard credit, debit, prepaid or gift card. He also said that they are limiting the sale to one device per person in stores, and one per B&N account online. Unfortunately, the deal does not include the Nook Simple Touch with Glowlight. The Nook Color is a tablet/e-reader with a 7 inch multi-touch screen and built-in Wi-Fi. Rather than an e-ink based screen, the Nook Color has an LCD screen. Along with access to the B&N Nook bookstore for e-books, it also features the ability to use thousands of apps. The Color comes with a free 30 trial to Netflix and free trials to Rhapsody, MOG and Grooveshark (music services). The Nook Color normally sells for $169, but will be $149 in this B&N Father’s Day/MasterCard promotion. 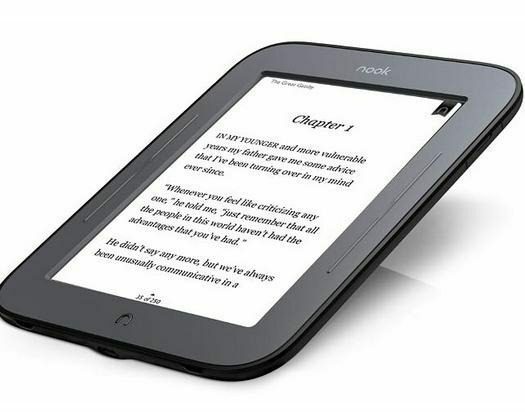 The Nook Simple Touch is an e-reader with a 6 inch e-ink touchscreen. It also has built-in Wi-Fi and access to B&N’s Nook bookstore for ebooks. The Nook Simple Touch is normally priced at $99 and is $79 with the $20 off deal. According to Barnes & Noble, these are the lowest prices they have ever offered on the Nook Simple Touch and Nook Color. B&N is also offering free express shipping from June 9 through June 12, and free expedited shipping from June 12 through June 14, for delivery by Fathers Day (June 17).